Lenovo has been relatively quiet on the smartphone front, but the silence ends now – or at least until the MWC at Barcelona. It is reported that at least 6 models of the Vibe series will be presented at the event next month. First up is the Vibe X3 which seems to be a flagship model that will feature a 5.5 inch screen. Reports also mention dedicated amplifiers for Hi-Fi 3.0 sound as well as a powerful 20 MP primary camera. However, the X3 is not their camera-centric model at all – that would be the Lenovo Vibe Shot. It features a 16 MP camera with a triple-tone LED flash for consistent lighting under varying shooting conditions. The camera will be utilizing a BSI sensor and will be capable of optical image stabilization. The phone sports a dedicated shutter button on the side. This allows users to snap photos while holding the phone sideways, just as you would when using a dedicated compact camera. The design of the phone actually makes it look like an incredibly thin compact camera. The Vibe Shot will feature a Qualcomm Snapdragon 615 chipset, a 5.0 inch screen over a FullHD display. 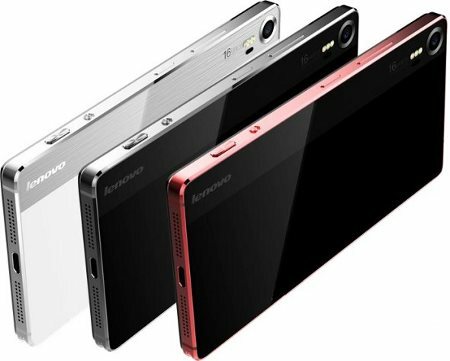 Apart from focusing on the primary camera, Lenovo has also poured in huge RAM storage of 3GB. This works in tandem with a 32GB ROM storage with possibility for expansion via microSD (up to 128GB). Lastly, the phone will be running Android 5.0 right out of the box. Very little information is known of the Vibe P1 and the Vibe S1. The latter is said to target the younger demographic, featuring fun, bright colors of blue, pink, and purple in addition to the standard black and white. The S1 is also said to feature a powerful selfie-camera. The Vibe P1 is said to take battery life more importantly. The phone will be powered by a 4000mAH battery that is capable of quick charging. The phone is said to have a 64-bit architecture, with 4G LTE support. This means the phone will most likely be featuring either the MT6732 or MT6752 chipset. The P1 will also be shipping out with Lollipop OS. Meanwhile, the Vibe P1 Pro takes the P1’s 4000mAH battery up a notch to a whopping 5000mAH. It will also feature a fingerprint sensor and what looks to be a display 5.5 inches or larger. The latest reported model is the Vibe Max which will sport a 6-inch screen over a quad HD (1440 x 2560p) resolution display. The phone will feature a fingerprint sensor, NFC support, and battery capacity of at least 4000mAH. The most significant feature of the phone is stylus pen support. This will be Lenovo’s first Android phone that supports a stylus pen, which has been branded the AnyPen. 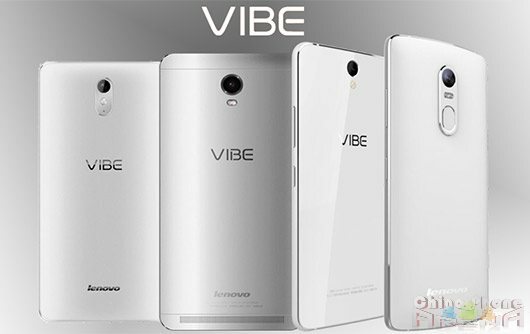 The common characteristic of the Vibe phones is their metal bodies, which will certainly bring up Lenovo’s reputation for build quality. MWC should be very interesting when Lenovo finally gives full introductions and details to these upcoming devices. Previous PostMeizu’s MX4 and M1 Note Getting UbuntuNext PostNon-Phones To Be Seen at MWC: LG Urbane 4G Watch, Acer Wearable, Xiaomi Waterproof Camera?